Today’s class session was editing, editing, and more editing. Each group is in a different place with their production, but it seems people are closing in on their final narratives. Marie (like always) impressed everyone with editing tips, tricks, and other brilliance. One group even got to start their tracking. 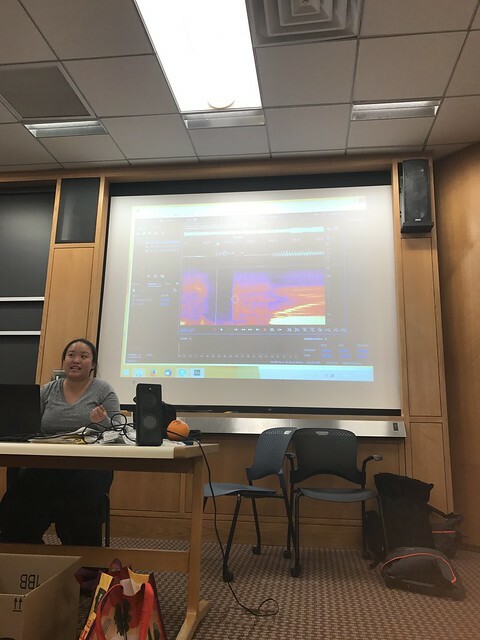 We ended the class today with a little listening. 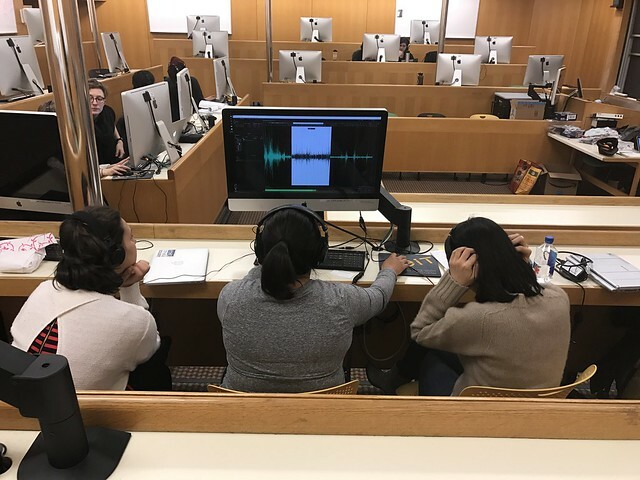 We listened to a piece from StoryCorps called No More Questions, and a piece from Emily Hsiao, an independent producer, called Leaving a Mark. Both pieces were submitted by course participants as part of their initial course surveys. After a +/∆ review of the day, we had an open conversation about editing, editorial decision-making, and the ethics of production. We closed down the session with grievances, though several groups stayed after class to work because the deadline is coming up fast!